How Should You Invest in SEO For High ROI? To get the highest ROI from your investment into SEO, you want to invest into your SEO by thinking long-term. When you focus too short-term, you miss the biggest opportunity with SEO. And when you think long-term, your SEO ROI becomes exponentially great. Focus on long-term, quality, and the enduring ranking factors for the next 10 years. These fundamentals will never change, despite how many times Google updates their algorithm. To truly understand your SEO ROI, we need to first understand how SEO is different from paid marketing channels like Facebook Ads or Google Adwords — any type of marketing channel where you pay per click or pay per impression. The greatest advantage of paid traffic that is when you invest money today, you earn money today. For instance, you could put a thousand dollars into Google Adwords right now and receive a few hundred clicks in return. In short, you put money in today and you get traffic today. And when your marketing and sales process is well-executed, you also get paying customers today. Unlike paid marketing channels, SEO is an investment-based marketing channel. Your time horizon is significantly longer. With SEO, you don’t invest money today and get paying customers today. You invest money today and get paying customers over the coming months and years. You want to think about SEO like a long-term investor and this requires a marketing mindset shift. For example, Warren Buffett thinks about the ROI of his investment not over the coming days or weeks, but over the coming years (he actually thinks about decades but that’s another story). SEO is a notoriously slow process, so we have to be patient and give it time to for momentum to build. But there’s also huge upside. With SEO, you get: Monthly Recurring Traffic. What is monthly recurring traffic? It’s a potential primary driver of monthly recurring revenue. Monthly recurring traffic is qualified, targeted, and ready-to-buy organic traffic coming to your business’s website every single day, week, month, and year. If monthly recurring revenue is the apple tree that keeps giving you delicious apples throughout the year, then monthly recurring traffic is the sunlight that sustains that apple tree. Just imagine how you’d feel if your business was getting a steady and consistent flow of new customers finding you – inbound – every single month. Inbound customer acquisition is the holy grail of business growth, because you don’t have to expend your precious marketing and sales resources on outbound sales tactics like cold calling and cold emails. No one likes getting a cold email, least of all your potential customers and many of your efforts will end up in the trash. Now, compare this to someone who is already specifically trying to find you, has already learned about you, likes you and trusts you, and is ready to buy. It’s a dream come true. So what does monthly recurring traffic have to do with investing in SEO for the highest possible ROI? Let’s create an example to exemplify the potentially limitless ROI of SEO (Yes, we are making that claim). Say a business invests a flat $10,000 into their SEO today. The business’s SEO budget has been properly allocated (something which rarely happens). Since SEO is notoriously slow and takes time to play out, let’s assume that in the first month the return on their investment is exactly ZERO. Let’s be conservative and say that in month they also earn exactly ZERO dollars as a result of their investment. By month 3 and month 4, let’s say that the business is earning an additional $2,000/month as a result of their investment. At this point, it’s 4 months in, and their ROI is negative. After an initial investment of $10,000, all we have to show for it is a spectacular loss of -$6,000! But this state of affairs won’t faze you as the savvy business leader that you are because you’re thinking long-term like Warren Buffett. You’re not chasing after short-term wins that leave you nowhere. By months 5 and 6 let’s say you’re earning $4,000/month as a result of your initial investment. After just one year, your total ROI is 260%. Just think about what that would do for your business. You’ve more than doubled your original investment. After two years, your total ROI is 740%. After three years, your total ROI is 1,220%. Any investor would kill for this kind of return in just a few years. If an investor gets a 10% return on their money in 1 year, they’re happy and consider themselves doing well. Their ROI based on a compound return of 10% for 3 years is about 33%. In this example with SEO, you can achieve an ROI of 1220%, 37 times that. While this example might look unbelievable on paper or far-fetched, the purpose of this exercise is to demonstrate the potential long-term value of SEO for your business. You’re not going to see jaw-dropping results in month 1 (barring an unusual circumstances). 2. Proper allocation of your investment budget. When you look at how 90% of businesses are currently allocating their SEO budget, it is almost never properly allocated. So yes, these results are not typical — especially when you try to do it on your own or you work with just anyone. But, even if you reduce these assumptions on numbers down quite a bit to get a more conservative estimate for your business, you can still see the opportunity for ROI. And that is what we wanted to demonstrate for you here. If we now go back and re-compare SEO to paid marketing channels like Facebook Ads and Google Adwords, you can see more clearly the value proposition. Paid traffic is valuable in the short-term, while SEO is highly valuable in the long-term. There’s a world of difference between these two. With SEO your ROI can be insanely high, because unlike paid marketing channels, you’re not paying for clicks or impressions into eternity. Instead, you’re investing in the shorter-term, to get a much greater return over the long-term, based on monthly recurring traffic. With paid traffic, the moment you stop spending money on it, is the moment that that source of revenue ceases to exist. Naturally, paid traffic has its advantages as well. It can get you straight revenue today, and for some businesses, it’s the most expedient path to rapid growth, far better than SEO. But for the greatest potential long-term ROI, SEO is the gift that keeps on giving. 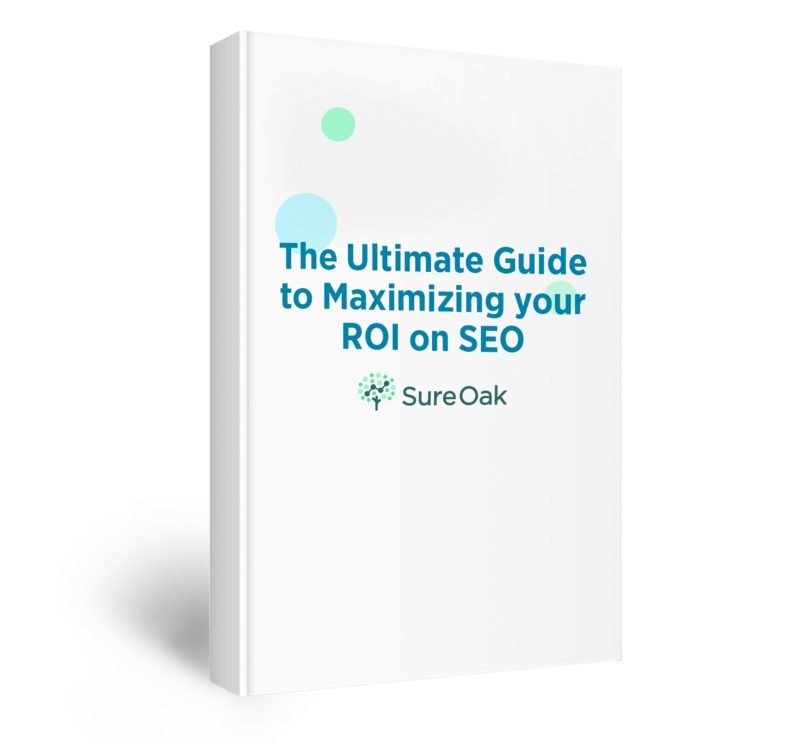 How can you invest in your SEO for the highest possible ROI? Your investment takes time, patience, and a small leap of faith in trusting who you work with. If nothing else, please be especially sure that your SEO budget is properly allocated. Your strategy should be future-proof and insusceptible to short-term fluctuations like algorithm updates. While there’s always some uncertainty in the outcome of any investment, you should be sure to do it right by wisely and strategically allocating your budget based on real world testing, experiments, and working with experienced professionals.